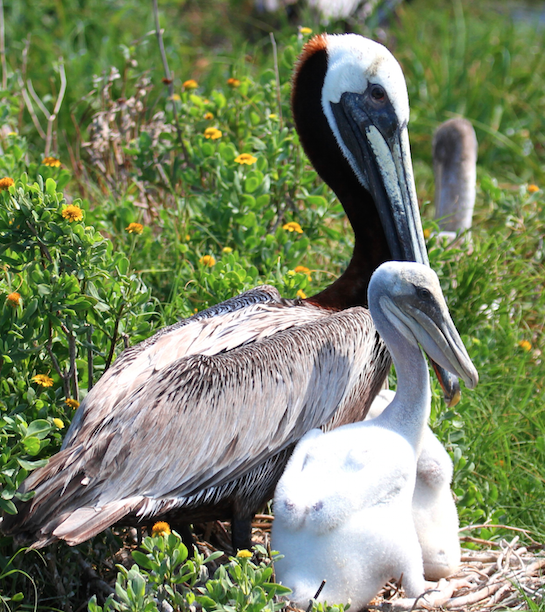 The Pelican Circle recognizes coastal stewards who have included the federation in their will or estate plans. Through a provision in your will, you can make a simple yet significant gift that will continue your interest and provide for the future of the federation’s work. You can leave a dollar amount, specific property, stock, an insurance policy or a portion of your estate to the North Carolina Coastal Federation, Inc. Please consult your attorney to ensure that all legal requirements are met and that your wishes are fully understood. Pelican Circle members are invited to connect with the federation in person to learn more about our work and giving opportunities. To learn more or to notify us that you’ve included the federation in your plans, please contact our development director, Sarah King, at 919-210-2617 or sarahk@nccoast.org. Including a non-profit organization in your estate plans is a very personal decision. Letting us know your intentions helps us plan for the future, and may help you decide where to guide your gift. To date, 33 members have included the federation in their plans. Below, a few couples share their stories. Susan DeWitt Wilder and Paul Austin have always seen the value in land conservation and open space. 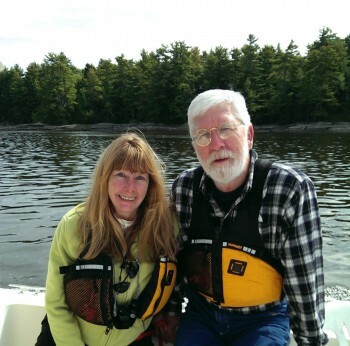 Both grew up in the New England countryside before settling on the coast of Maine, where they are both heavily involved with local nonprofits that conserve land and protect and restore wetlands. Susan and Paul were introduced to the North Carolina coast while on their way to visit friends on the Outer Banks ten years ago, and were thrilled with their drive through Down East in Carteret County. “We live on the marsh in Maine and just fell in love with that black needle-rush landscape and the seclusion Down East,“ Susan explained. They soon bought a house Down East and visit frequently. “We’ve made wonderful friends in the area and appreciate the ethic of self-sufficiency — fishing, beekeeping and growing your own vegetables. The people we’ve met appreciate the culture and the quiet.” Paul added. During their time in Carteret County, Susan and Paul have become familiar with the work of the North Carolina Coastal Federation, as several wetland and oyster restoration projects are located nearby. They’ve planted their property with native trees thanks to the federation’s native plant sale. “We particularly like the federation’s advocacy and willingness to speak out strongly on topics other groups may shy away from,” said Paul. Because of their strong feelings about conservation and advocacy, they decided to leave their Down East property to the federation in their wills. “We want a sale of the property to benefit the federation and ideally to have it eventually owned by someone who shares the values of the federation. This is a very special area that deserves to be preserved so that others can enjoy it as well,” Susan said. The federation can accept planned gifts of personal property in additional to traditional gifts of stock or cash. The federation’s policy is to sell gifts of real estate and other personal property unless there is a special conservation value and fit with existing initiatives. Gifts to a nonprofit are tax deductible and can reduce estate taxes. Please consult your attorney or financial planner for details. To learn more, or to notify us that you’ve included the federation in your plans, please contact Sarah King at 919-210-2617 or sarahk@nccoast.org. John Runkle and Nancy Dole aren’t from the North Carolina coast, but that hasn’t stopped them from loving it as much as any native. 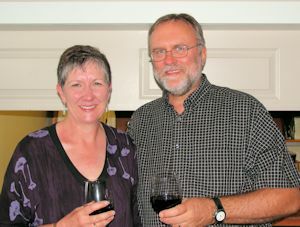 Originally from Ohio, John and Nancy were high school sweethearts who moved to North Carolina in the late 1970s for John to attend law school and Nancy to complete a graduate degree at the University of North Carolina at Chapel Hill. Whether it was the burning river or the time spent enjoying nature, John and Nancy have a strong interest in conservation and the environment, and a love for coastal North Carolina. They have been members of the North Carolina Coastal Federation since 1982, and John was a charter member of the Board of Directors. “The federation is made up of people with real roots and history with the coast, and people with a true passion for North Carolina’s coast. That authenticity is why Todd and the rest of the staff are so successful — that combination of dedication and knowledge with a true love for the coast,” said John. John and Nancy have included the federation in their wills. “A planned gift is a way to take care of family as well as an opportunity to protect something personally meaningful,” said John. Many people don’t realize how easy it is to include a non-profit in a will; whether it’s a set amount or a percentage of your remaining wealth, it’s easy to do. A financial planner or attorney can show you how to ensure that all legal requirements are met and that your wishes are implemented the way you want. John and Nancy are frequent visitors of Emerald Isle and the surrounding islands, and have a long-standing vacation week there with friends every September. While enjoying their time at the coast — kayaking to Jones Island, surf fishing at Emerald Isle, sitting on the beach or experimenting with new seafood recipes — John and Nancy know their plans will make a lasting contribution to protect the coast they love for future generations.